This show was 1st in the global funk - soul - jazz chart and 1st in the global hip-hop/rap chart. 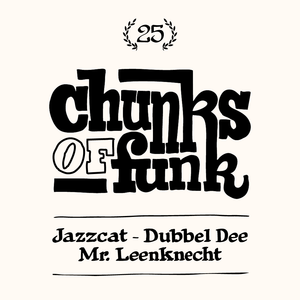 Selected by Dubbel Dee, Jazzcat and Mr. Leenknecht. Wow can’t stop listening, one of the best mixes! You can&apos;t go wrong with this one, belter! Get down with that nitty gritty. Ya digg. Superfunk! Great tracks and mastermixing by Mr. Leenknecht, well done guys!